"The Girl With The Dragon Tattoo" motion picture soundtrack. Limited deluxe edition vinyl package. Six vinyls, a custom USB pendant, and a fold-out poster in a book housed in an acrylic case. Art direction and design. 2012. 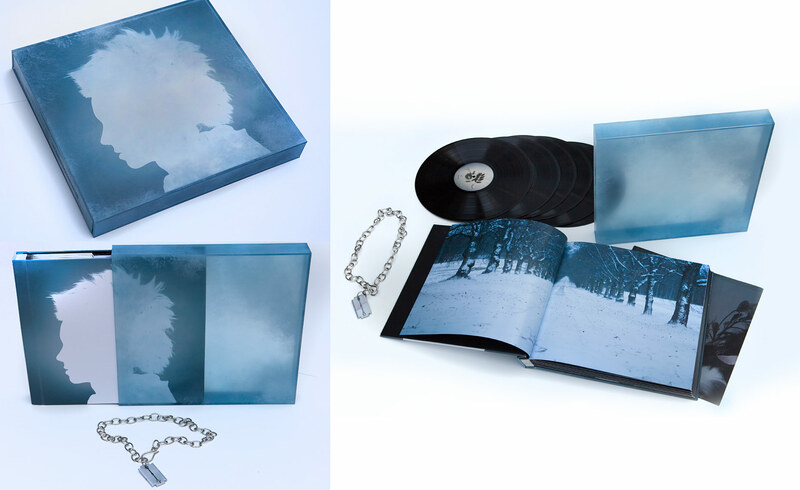 Nominated for a Grammy for Best Boxed or Limited Edition Special Package.